Or perhaps you are lacking some essential vitamins which may lead to cravings. 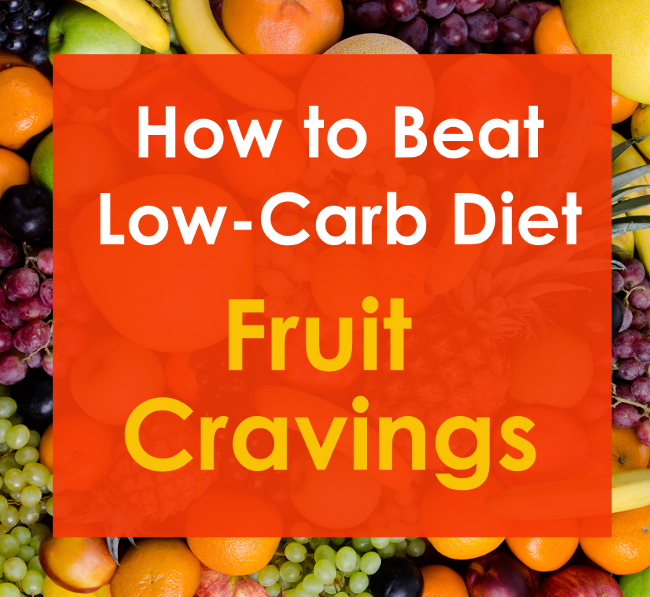 What can you do to satisfy your fruit cravings? Here are a few simple tips. The simplest answer to your fruit craving is berries. Most berries’ carb count is between 5-12g net carbs per 100g. This is acceptable for most low-carb diet plans, even ketogenic ones. The most popular low-carb options are blackberries, strawberries, raspberries and blueberries. If you are on Keto or a similar ketogenic diet, always add some fat to your berries, to avoid getting a hit of pure carbs (even if it is small). Cream is the easiest option, plain or whipped. Low-sugar citrus fruit – lemons, limes and grapefruit – are as low in carbs as berries, with 5-9g net carbs per 100g (3.5oz). Even a small bit can help to satisfy your fruit craving. Plus, you get a hit of natural vitamin C.
Lemons and limes are obviously very tangy. Although it will seem less so now – when you avoid most sweet foods, your sensitivity to sugar increases. You might be able to detect traces of sugar even within lemons – still, probably not enough to have them on their own! Obviously, not all citrus fruit is low in sugar – just the ones listed above. Oranges and its small siblings like clementines and mandarins are high in sugar. What is avocado doing on this list? Well technically it is a fruit – although most of us don’t think of it that way. It is a great favourite with Keto dieters – loaded with nutrients and healthy fats, extremely versatile and very low in carbs (2g net carbs per 100g). In some cultures across the world – for example, in Indonesia, Morocco and Brazil – avocado is treated like a proper fruit. It gets mixed with sugar and sweet flavours, and incorporated into desserts. There are several super-popular Keto desserts that mix avocado with sweeteners to create a super-nutritious and delicious treat. It might not be what you had in mind when thinking of fruit. But it will give you a hit of vitamins and healthy fats, and most likely satisfy your fruit craving. In a complete reverse of the avocado scenario, rhubarb is a vegetable that is often treated as fruit. It is a popular ingredient for fruity stews, crumbles and pies. Its tart flavour works wonders when combined with sweetener. With only 3g net carbs per 100g, rhubarb is a great way to satisfy your fruit cravings. You can’t eat it uncooked, but there are plenty of low-carb recipes for yummy rhubarb-based treats. Another option is to try artificial flavours. Obviously, natural foods are much better than synthetic in any situation. But if you are getting desperate, flavourings do provide a strong fruity taste, with zero carbs. 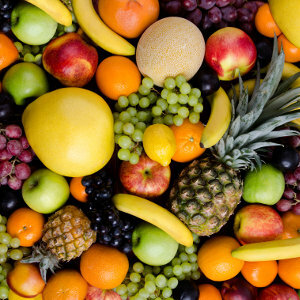 If your fruit cravings are very strong, they may indicate a deficiency in some essential vitamins. The key principle of a healthy low-carb diet is to eat plenty of low-carb vegetables. Many of them (for example, green leafy veggies, broccoli, bell peppers and tomatoes) are nutritional treasures. Some veggies provide even more vitamins than fruit. For example, bell peppers contain three times more vitamin C than oranges! Make sure you spend your daily carb allowance wisely, on the most vitamin-rich low-carb vegetables. Getting the full spectrum of vitamins may well banish your cravings for fruit. Sometimes there is no time to shop for fresh natural food or cook from scratch. If you are worried about your nutritional balance, take a daily multivitamin. Although not as good as vitamins from real food, multivitamins can certainly protect you from deficiencies and improve your overall health. If your strong fruit cravings are caused by vitamin deficiencies, a high-quality multivitamin will help to solve it. Certain specialist supplements can also help with common low-carb diet problems like tiredness and sugar cravings.